Anger is a natural human emotion. Psychologists believe that if you become angry, that it is healthy to get angry. It becomes unhealthy if you cannot control your anger. If you find yourself getting angry and you cannot get a grip on the anger, you should consider anger management therapy. There are a few warning signs that you should look for. If you exhibit any of the following signs, you should contact a professional. You cannot express yourself without yelling, fighting, or causing a confrontation. It is not uncommon for a person with anger issues to deny that they have a problem. 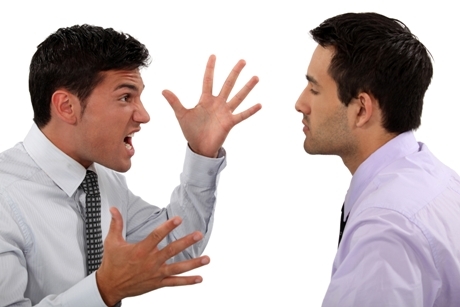 Often times, when the subject of anger management counselling is mentioned, it can lead to an angry outburst. If you are exhibiting any of the above signs, you should put your denial and anger aside, and consider the benefits of anger management counseling. This type of therapy is not meant to keep you from getting angry, it is designed to teach you how to manage the anger. When you are unable to control your anger, it can cause you to make poor decisions on impulse. After the poor decisions and you have calmed down a bit, you will likely start thinking about all the things that you should of done or which you would have done. These feeling can result in you feeling angry with yourself. When you seek therapy for your anger, you will learn how to slow things down when you start feeling angry. When things are slowing down, you will easily be able to control your anger. This can prevent you from making hurtful comments that you cannot take back. It will also stop you from throwing things or fighting. Many people have trouble communicating their feelings. They believe that if they express hurt, love, or worry will leave them vulnerable. If you are one of these people, you need to understand that it is alright to express your emotions in a healthy way. When you seek anger management therapy, you will learn how to express your feelings without it turning into an argument. You need to learn to take constructive criticism, and not feel attacked if someone tells you they hurt your feelings. When you are able to communicate your feelings and listen to other peoples’ feeling without blowing up, you will be able to have more meaningful relationships. If you have a problem with anger management, the people you live with and work with are likely afraid that they will end up exploding on them. Walking on eggshells is exhausting. If the people in your life feel that this is what they need to do to interact with you, they may want to stop interacting with you altogether. When you feel alienated, it can make you even angrier. When you seek therapy for your anger issues, you will learn to control your anger, so friends, family members, and coworkers will no longer be afraid to have a relationship with you. If you feel that your anger issues are destroying your relationships, you should make an appointment with York Region Psychological Services for anger management counselling. The professionals who work here will help you find the root of your anger, and teach you ways to control it. For more information, call (416) 602 3230.